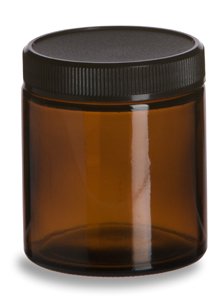 These glass amber storage jars protect their contents from light taking any effect on them. These are perfect long term storage options for all sorts of materials such as spices, dry blends, tobacco, or most anything else. Medium size holds 120ml (4oz. ).